For pretty boring business reasons that I will spare you the details of, my husband and I are spending a lot of time in Yorkshire at the moment. I like Yorkshire. My Mum was born here, so even though I think of myself as being from "the South", I do feel a certain sense of belonging whenever I'm "up North". In any case, there's nothing like a change of scenery to blow the cobwebs away, and Mike and I have been enjoying exploring a few new places during our free time. Last Sunday, we took a drive to Bawtry, a busy little town near Doncaster with quite a few cafes, restaurants and boutiques. 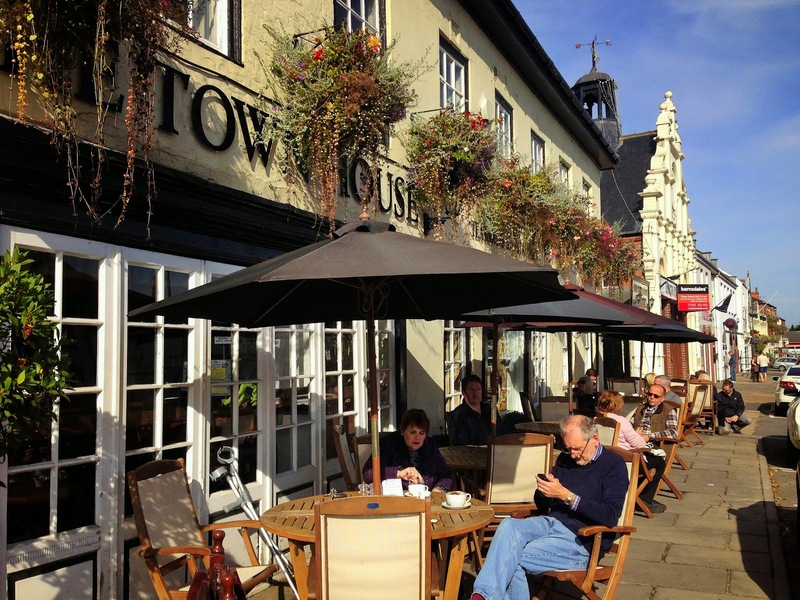 We went to the Town House Tea Rooms, where we enjoyed a lazy brunch. 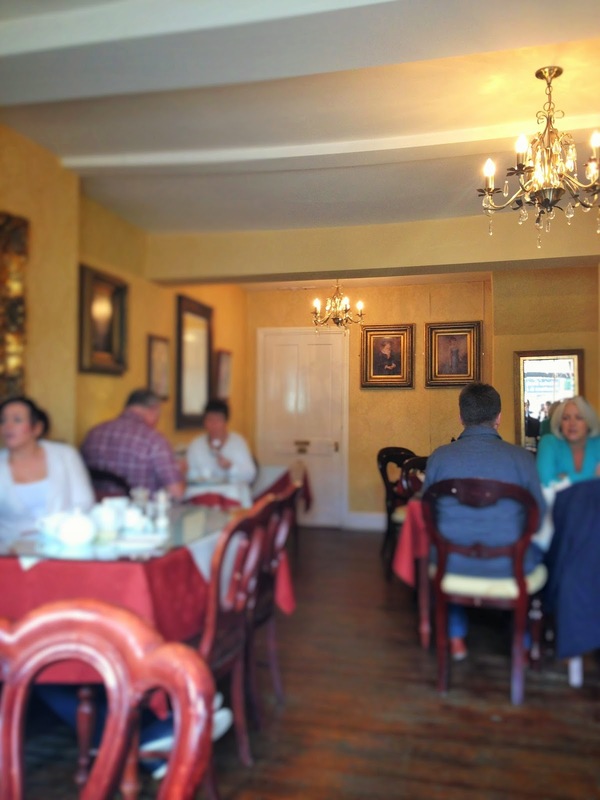 This place is very opulent and traditional in its décor, with large tables and lots of space. The staff are cheerful and friendly and the atmosphere is relaxed, though busy at the same time. It's a popular spot. 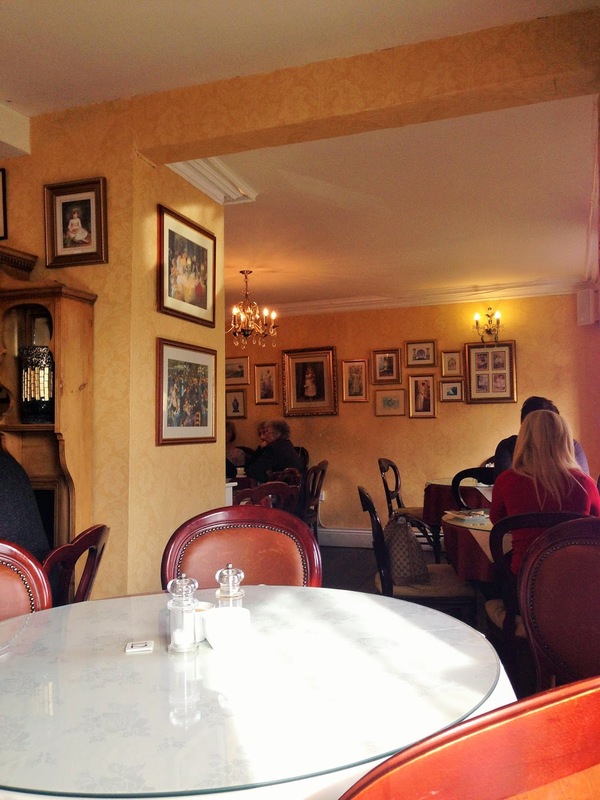 With Frank Sinatra crooning softly in the background and the sunlight warming our faces through the window, we felt very comfortable and could happily have sat there all day. 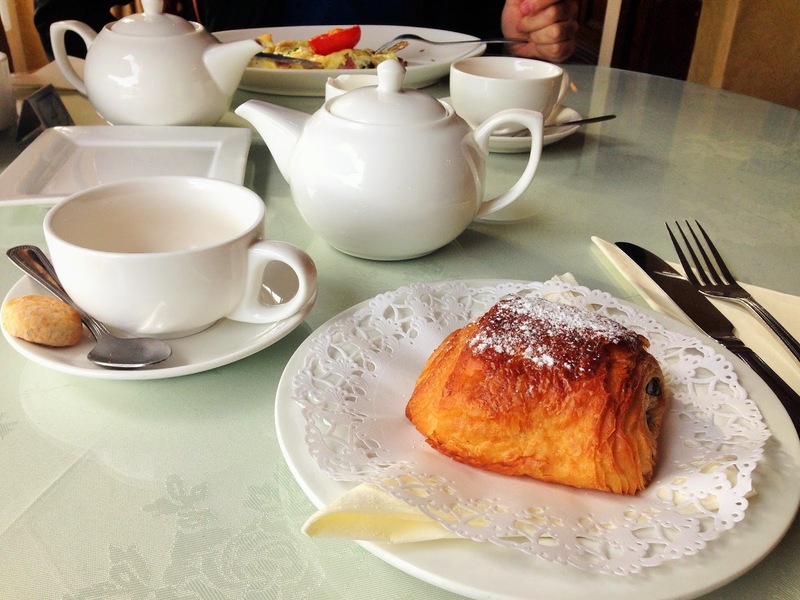 We both had a pot of tea, I had a pain au chocolat and Mike had a breakfast omelette with bacon, sausage, mushrooms and tomatoes, which I very annoyingly forgot to photograph. You can just about see it in the background here. My pastry was delicious - warm and crisp and filled with lovely gooey melted chocolate. I'm told the breakfast omelette was also lovely and it certainly looked very good. It came with some thick slices of toast and a generous serving of butter. 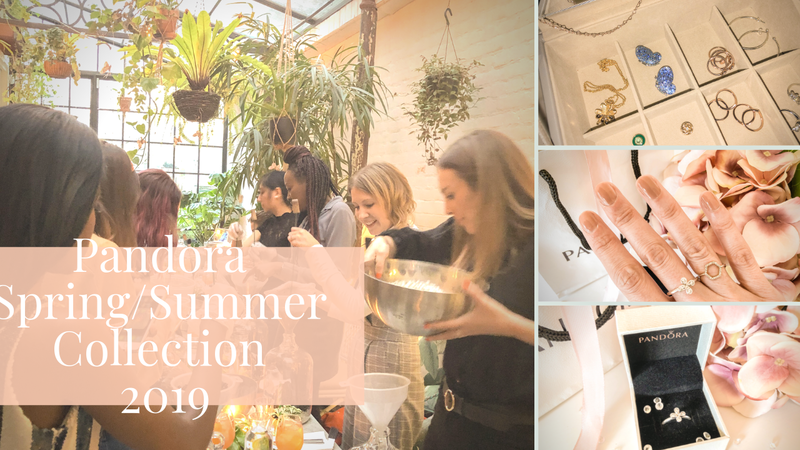 The decision to blog about this little outing was as spur-of-the-moment as the outing itself, so of course I wasn't wearing anything exciting or new. Never mind, here's the outfit anyway! Do you have a favourite weekend brunch spot? Bonus points to anyone who's visited the Town House! 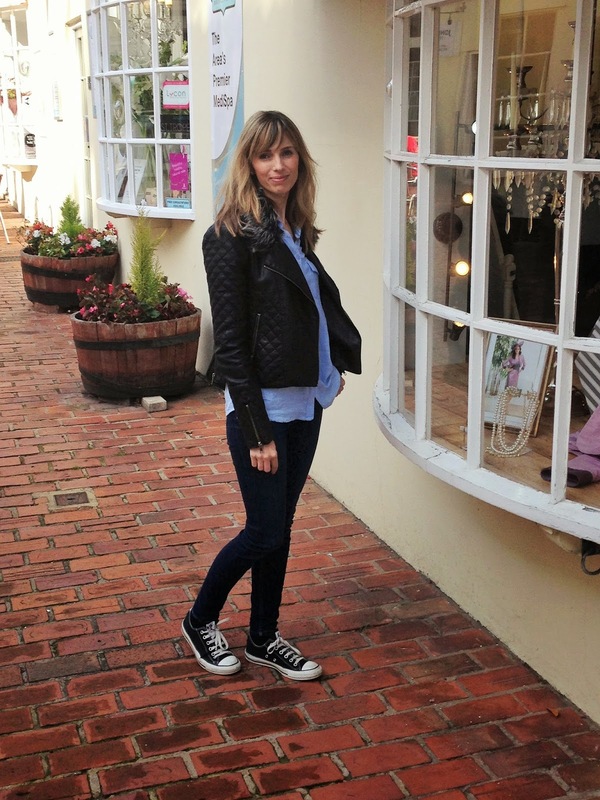 I love exploring new places, especially ones like this :) Love your jacket by the way! this looks like great fun! afternoon tea is such a british concept and I love it! 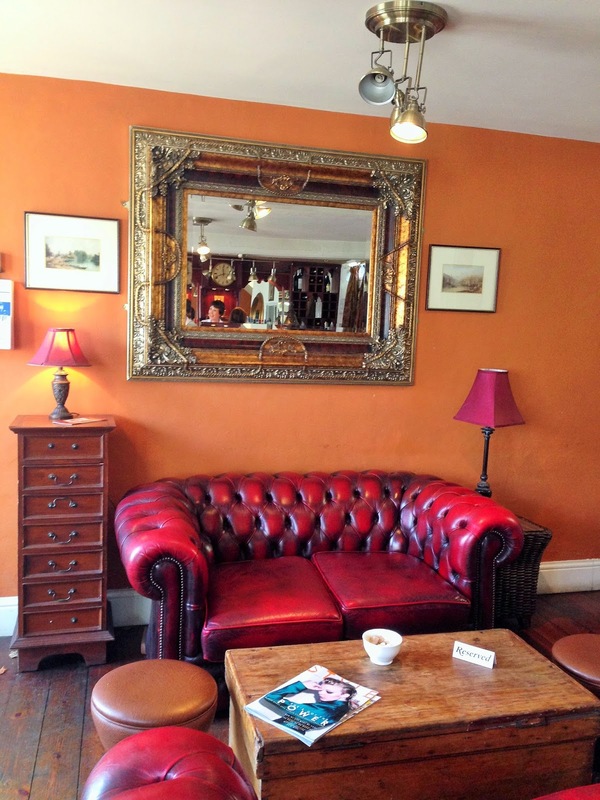 This place looks super lovely, I adore the red vintage coach would love to own such a piece myself! It looks lovely! I haven't been to Bawtry in years. Hope you enjoy exploring Yorkshire, there are some wonderful places here! everything looks so lovely! i wanna go! This place looks so beautiful! I love your casual outfit, I want some denim shirts! Oooh this looks like such a gorgeous place!!! No - don't say that, your outfit is lovely!!! Beautiful photos and I'm now hungry after seeing that picture - it's midnight….midnight munchies haha! This looks like a beautiful and adorable place. Nice photos! I haven't been as far north as Yorkshire yet, but I hope to soon! Also your tea looks delicious - might have to go into the kitchen now! Your sunday brunch looks so gorgeous! Not only does the food look and sound divine, anywhere that displays Style magazine is a sure fire winner in my eyes ;) And I love your sunday style too! Wow, what a lovely place! I looooooooove afternoon teas!! :))) And this one looks really fine!